With Cunard Line quoting transatlantic fares as low as $599 per person and £299 in the UK, we have a look at fares available in the next couple of months, including a New Year’s sailing from Fort Lauderdale in the Queen Victoria for less than $60 a day for a balcony cabin. We also look at what a bargain they are today compared to thirty-five years ago. 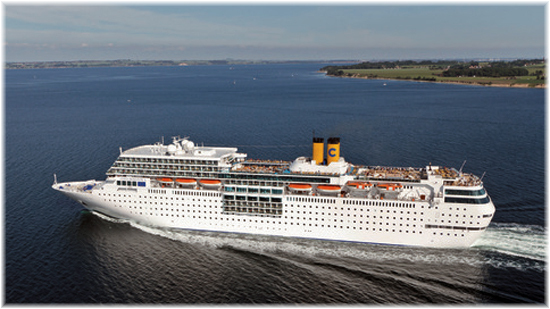 Elsewhere, Costa Cruises has announced a “slow cruising” product to be known as its Costa neoCollection. 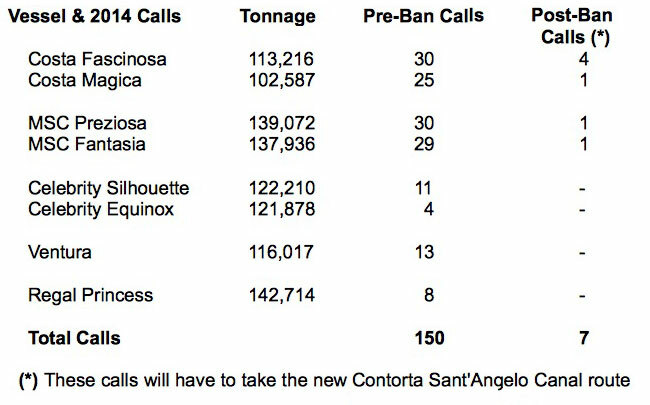 In Venice, meanwhile, a ban on sailing past St Mark’s Square has been placed on ships above 96,000 tons, one that will directly affect eight vessels making more than 150 calls in Venice in 2014. On Friday, Cunard Line’s US office in Valencia, California, sent a circular to Cunard World Club members on that side of the Atlantic announcing a special Transatlantic cruise-only fare of $599 per person for a balcony cabin with obstructed view. This offer, for an 8-night crossing from Southampton to New York in the 2,092-berth Queen Elizabeth, expires on November 30. In the UK, this fare is equivalent to Cunard’s Getaway fares of £299 per person for an inside cabin, £399 for an outside cabin or £499 for a balcony (cruise only) with 100% payment on booking and a 100% cancellation penalty. A flight can be added back from New York for £300 extra. 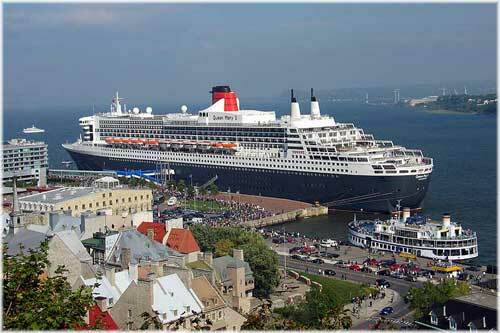 The same communication to US Cunard World members promotes the 2,014-berth Queen Victoria’s 10-night sailing on January 2, 2014, from Fort Lauderdale to Southampton from $599, or less than $60 (about £38) per person per day. This fare also applies to the 11-night sailing on Queen Elizabeth from Southampton to Fort Lauderdale via New York on January 10. In the case of the US fares, government fees are additional, while they are included in the Sterling fares published in the UK. 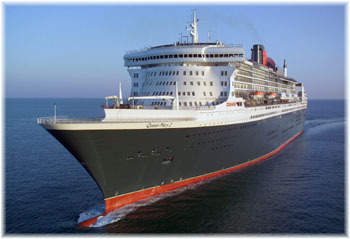 First, Cunard Line, in its own advertisement, offered Transatlantic Crossings at 7 nights from £599 per person, flight included, in a balcony stateroom, for November-December 2013 departures from Southampton to New York. This includes the 2,620-berth Queen Mary 2’s November 19 sailing from New York to Southampton and her December 15 return voyage from Southampton back. Just a few pages on, Thomson was advertising the same December 15 voyage on Queen Mary 2 from Southampton to New York from £599 per person including flights for an inside cabin, but with a £100 upgrade to a balcony – or £100 more than Cunard a few pages earlier. Why such a discrepancy in the same newspaper is not clear. But let’s look back thirty-five years to Cunard Line’s 1,760-berth Queen Elizabeth 2 in 1978. That year, she was offering “Sail to New York, fly back with British Airways” from £395 for sailings in April. There were no December or January sailing dates then but £395 bought you an April fly/cruise fare in an inside cabin with upper and lower berths, where today £299 will buy you a cruise-only fare and £599 a fly/cruise fare in a balcony cabin. 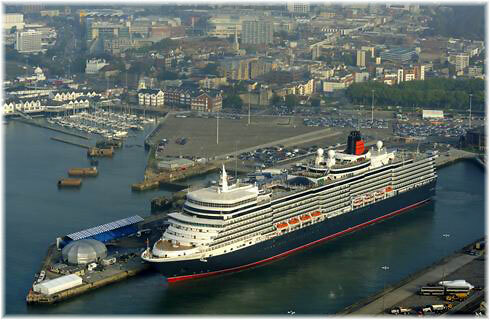 There were no balconies in QE2 except for the suites, but outside cabin fly/cruise fares began at £460. What is interesting is that the 1978 fly/cruise fares of £395 (inside) and £460 (outside) per person would be the equivalent today, after inflation, of £1,925 and £2,235 – or almost five times the lowest fare available in 2013. And because of higher fuel costs, the voyage has now been extended to seven days duration as opposed to five days in QE2 then, meaning the lowest 1978 per diem is today’s equivalent of £385, literally ten times today’s lowest fare. In North America, the minimum fly/cruise fare for an inside with upper and lower berths was $730 in 1978 (£377 at 1978’s exchange rate), compared to today’s cruise-only offer of $599 plus government fees. That $730 calculates out to $2,620 now, or more than four times today’s best offer, and just for an inside cabin where today’s lowest fare buys a balcony. The fact that Queen Mary 2 can carry half as many again more passengers than Queen Elizabeth 2 may give Cunard economies of scale that it did not have before, but the relative cost of fuel oil in 1978 compared to today weighs heavily against this. 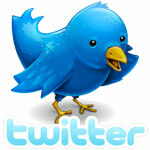 Today there is also the consideration of getting ships into position for their World Cruises in January. Nevertheless, from any of the above comparisons, it is quite obvious that Cunard’s out-of-season Transatlantic fares really are quite amazing. That will really make P&O’s new fare structure clear for everyone! For all the confusion caused by P&O’s earlier Vantage and Getaway fares, which will now be replaced by Select Prices and Early Saver fares, they really are trying to give people a laugh. Costa Cruises last week announced that it is introducing a new concept they call “slow cruising” on board two of its smaller ships, the 1,248-berth Costa neoRiviera and 1,578-berth Costa neoRomantica. These cruises will offer more leisurely itineraries with more time to spend ashore. Sailing off the beaten track, their longer port calls will allow a more intimate and exclusive atmosphere and a focus on locally sourced foods traditionally prepared. To be known as the Costa neoCollection, this will be the first time Costa has attempted an up market brand since the Costa Classica and Costa Romantica were introduced in 1992 and marketed in the United States as EuroLuxe Cruises, a name that was very short-lived. Of the new fleet, the Costa neoRomantica came first when she was converted from the Costa Romantica by a complete on—board redecoration and the addition of new cabins and balconies at a cost of €90 million (about $118 million). The second ship, just entering the fleet now, is the Costa neoRiviera, which until this month had been trading as Iberocruceros’ Grand Mistral. Her main claim to fame is a grill-style restaurant for passengers in the balcony cabins, of which she has 80, while the Costa neoRomantica has 86. If successful, it would seem that the 1,308-berth Costa Classica could also be refitted as a third ship, although she has only ten verandas at the moment. 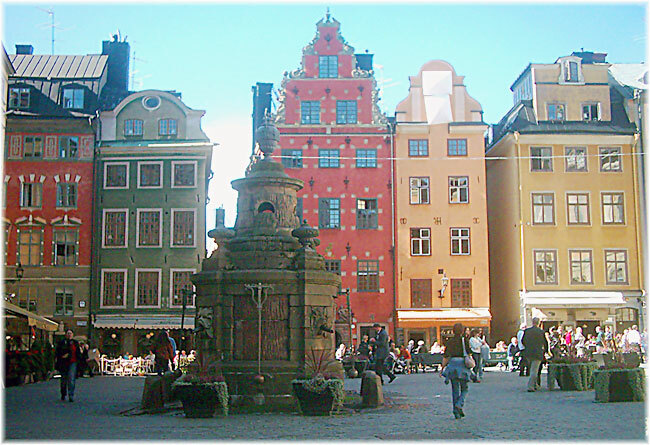 Itineraries have been designed with longer stopovers in each port, often overnight and part of the next day, so as to allow you maximum time on shore and the chance to explore each place on the route in more depth. There is attention to detail on board combined with the discovery of cultural heritage and scenic nature ashore. Included will be a series of specially designed shore excursions for small groups, and fine food and wine products based on the authentic tastes of the places visited, thanks to the new, important collaboration between Costa and the University of Gastronomic Sciences in Pollenzo. The Costa neoCollection debuts on February 9, 2014, from Dubai, with the Costa neoRiviera, the latest addition to the fleet. This one-off 62-day voyage of discovery, the “Grand African Tour,” will offer an innovative circumnavigation of the great continent offering a unique opportunity to combine days at sea with the most beautiful Indian Ocean beaches and the adventure of a safari in South Africa. The Costa neoRiviera will also add a new dimension to cruising in spring and summer, sailing on 12-day itineraries to the most attractive destinations in the Mediterranean, away from the bustle of mass tourism. Starting June 1, 2014, and through the summer, the neoCollection style will also feature on the Costa neoRomantica, with 13 and 15-night premium cruises in Northern Europe, beyond the North Cape or to the Baltic capitals. The Costa neoRiviera and neoRomantica are welcoming and relaxing ships, and unlike the mainline fleet, these ships were not designed by the colourful and over-exuberant Joe Farcus. So they are more relaxing to be ion board. Their relatively small size makes them ideal for slow cruising and means they can sail to smaller ports that are gateways to more exclusive destinations such as the Amalfi Coast, Corsica and the west coast of Sicily. The ambience on board is warm and cozy while the service is more refined and personal. The unhurried pace gives guests more time to mingle and share experiences with fellow guests. On board, a Concierge assists passengers in the choice of custom-made solutions including not only excursions but also a vast array of shipboard and shoreside amenities, such as the newly-introduced “dinner under the stars”, a romantic candle-lit soirée with a gourmet menu under a canopy of starry skies. There will be a wide selection of food and wine and Costa’s intention is to preserve local gastronomic traditions based on wholesome ingredients available in the various ports of call. Menus will include regional recipes designed to foster the great local culinary and cultural traditions. These gourmet menus will come with a list of hand-picked wines, which can be sampled by the glass. And in keeping with the leisurely pace of neoCollection cruises, guests will be able to dine in open seating at any time between 6.30 and 10.30 pm. The slow food approach also continues ashore, where guests can go on food and wine excursions to sample local products. Costa neoCollection shore excursions have been specially designed as original, exciting and planned down to the last detail to let you absorb the culture, scenery and tastes of each place en route. So as to enhance the independent feel, each excursion will be arranged in groups of not more than twenty-five people at once. Starting in November 2014, the cruise industry in Venice could look very different as government officials in Rome last week ordered a ban on ships above 96,000 gross tons from transiting the Venice Lagoon and the Guidecca Canal that passes directly in front of St Marls Square and across the mouth of the Grand Canal. From January 2014, the number of cruise ships allowed to sail past central Venice will be cut by a fifth, to five a day, and from November 2014 ships of more than 96,000 tonnes will be banned. 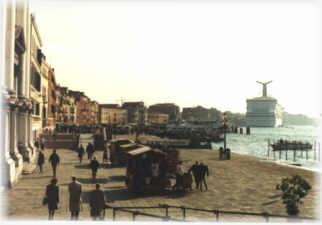 In addition, the government has placed a limit on smaller ships, calling for a reduction in traffic by ships over 40,000 tons to just five a day, in an effort to get ships away from St. Mark’s Square and the area of Central Venice. Cruise ship traffic will eventually be re-routed through a new canal route to the city – thereby allowing big vessels to reach the cruise ship terminal by way of the Contorta Sant’Angelo Canal, which will use the Marghera entrance to the port rather than the Lido entrance that is used now. The ban followed a meeting last Wednesday between Italian Prime Minister Enrico Letta and his ministers and the mayor of Venice, municipal officials and regional authorities on how to implement a national law that bans large ships from coming near Italian shores. This new law was enacted following the grounding of the Costa Concordia in Tuscany last year, but its implementation was delayed in Venice, as the cruise industry is so key to the local economy. Eight ships above 96,000 tons are scheduled to call at Venice in 2014 but will be banned from November from using the route passing St Mark’s Square. This includes two vessels each from Costa Cruises and MSC Cruises, two of Celebrity’s Solstice Class and one ship each from P&O and Princess Cruises. 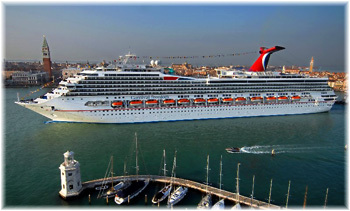 Ironically, the world’s first 100,000-tonner, the 2,642-berth Carnival Destiny, was christened right in the heart of Venice in 1996 and has re-entered service this year as the rebuilt 3,006-berth Carnival Sunshine, with an increase of almost 14% in its capacity, mainly accommodated on a new deck added atop the ship that was installed by Fincantieri at Trieste this spring. Overall, however, the megaships are very much out of proportion with the old centre of Venice and loom over St Mark’s Square as they sail by. It is fitting that a new route has been found for them while smaller cruise ships will still be accepted through the traditional channel.